Horizontal double spiral belt mixer drive spindle layout of double helical blades, the internal spiral material will be transported to the outside, indicating that the Department of spiral materials will be gathered to the interior. Material in the double spiral belt convection movement, the formation of a low-power high-efficiency mixed ring environment. Installed on the mixing shaft inside and outside the diameter of the propeller barrel material, so that the largest mixer in the barrel flip material. During the work of the stirring device, the inner spiral drives the material near the axis to rotate in an axial direction, and the axial direction drives from the inside to the both sides. The outer spiral drives the material near the barrel wall to rotate in the axial direction and the axial direction drives from both sides to the inside. Can be mixed evenly in a short period of time. 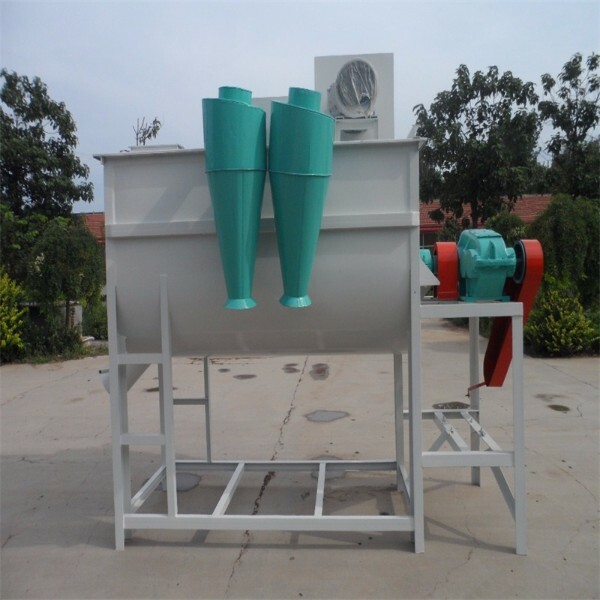 Horizontal double spiral belt mixer is widely used in the solid-solid (ie, powder and powder), solid-pulp (plaster and powder) That is, powder and glue liquid) mixing, especially suitable for viscous material mixing. For the fiber content, the density difference between the material mixing, the mixer is not suitable. Putty paste, Shi Shiqi, biological, pharmaceutical, food and other industries, it is recommended to use stainless steel. Under normal circumstances, mixed with dry glass beads containing mortar material, the recommended horizontal ribbon mixer fast. 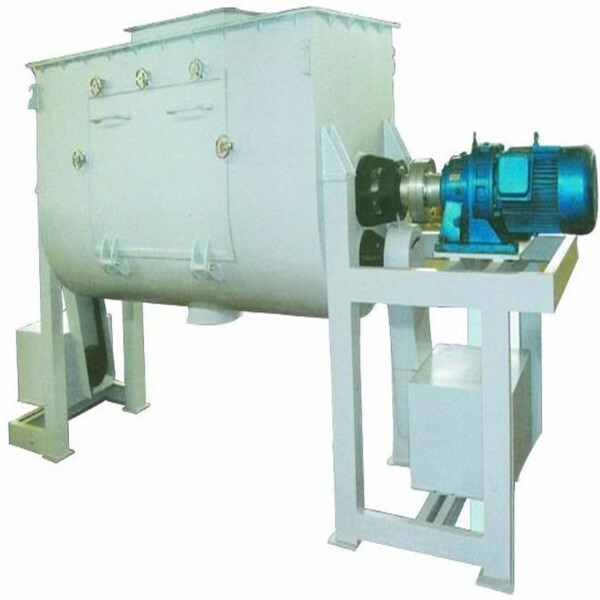 Between the motor and the mixing spindle through the cycloid reducer directly connected, simple structure, high reliability, easy maintenance. Horizontal ribbon mixer working principle Gravity mixer Horizontal cylinder equipped with two-axis rotation of the inverted blade, the blade at an angle to the material along the axial and radial circulation stir, the rapid mixing of materials Performance characteristics of the reducer Driven shaft speed and the blade structure will make the material gravity weakened, with the lack of gravity, the existence of the particle size of the material, the proportion of the difference between the differences are ignored in the mixing process. Intense mixing movement shortens the time of one mixing, faster and more efficient. 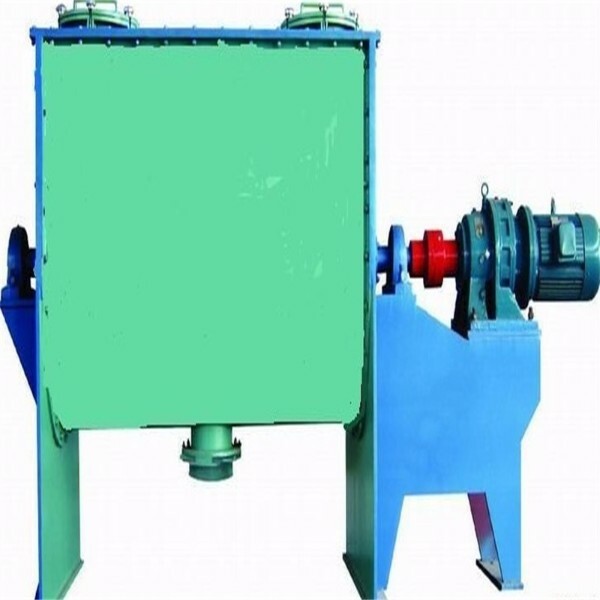 Even if the material has the proportion, the difference of the particle size, in the staggered arrangement of stirring blades rapidly violent churn shedding, also can achieve good mixing effect. Horizontal ribbon mixer out of the way: the use of pneumatic materials pneumatic open the door structure, with fast unloading, no residual advantages; high-precision materials or semi-fluid materials used manual butterfly valve or pneumatic butterfly valve, manual butterfly valve economical , Pneumatic butterfly valve on the semi-fluid tightness, but the cost is higher than the manual butterfly valve. Where heating or cooling is required, the jacket can be configured. Electric heating and heat conduction oil heating heating two options: easy to electric heating, but the heating rate is slow, high energy consumption; heat oil heating oil pan and oil power configuration needs, piping, large investment, but the heating rate is fast , Lower energy consumption. Cooling technology can be directly injected into the jacket cooling water, jacket heat transfer area, cooling speed. 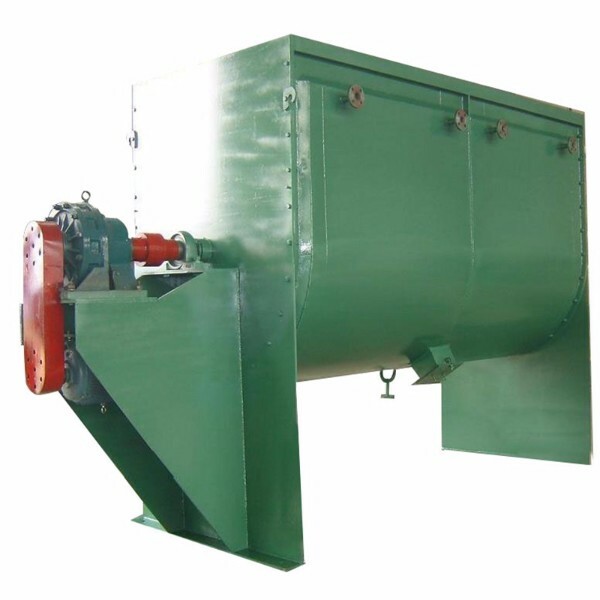 Between the motor and the mixing spindle through the cycloid reducer directly connected, simple structure, high reliability, easy maintenance.